Thank you for your interest in the Art + Biz Day. However at this time, registration for this event has closed. Hey students! 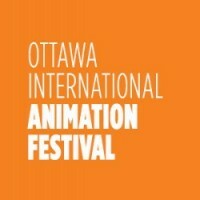 Are you looking to meet with the animation industry, other artists and filmmakers being showcased at OIAF 18 at a wickedly fun event hosted by Nickelodeon? You have a chance to at TAC's third networking day, featuring a Networking Breakfast and a behind-the-scenes talk on Nickelodeon's hit series, The Loud House. This event is open to all TAC delegates and directors from OIAF18 competition and showcase selections and pre-registered Passholder* Students. Students & directors must check in at TAC reception. When registering for a ticket, be sure to use the SAME email that you registered for the festival with since all tickets will be cross referenced to ensure all attendees are Passholders. Doors open 30 min before showtime. Ticket (digital or printout) must be presented at the door for admission with your valid pass.